Two sets of gates (purchased in 2000) have operated great on accessory power for years. One gate quit and the replacement set purchased had noisy gears. The second set of gates purchased sounded the same as original gates. The packaging for both the replacement sets is the same. The gates look the same. The noisy gates were returned to MTH for repair. Before returning to me, the MTH technician called and said the noise from the gates is "acceptable", some make noise, some don't. MTH had no more gates available for replacement. 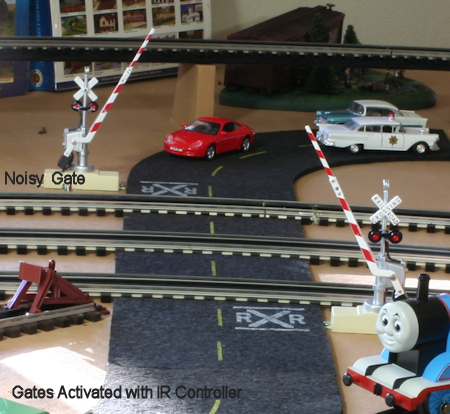 The multi-track gates above are activated with the IR Controller. The single track gates in the photo to the left are activated with the single pole double throw momentary toggle switch. Caution!! Speaker volume needs to be lower to tell the difference between Normal and Noisy gates. 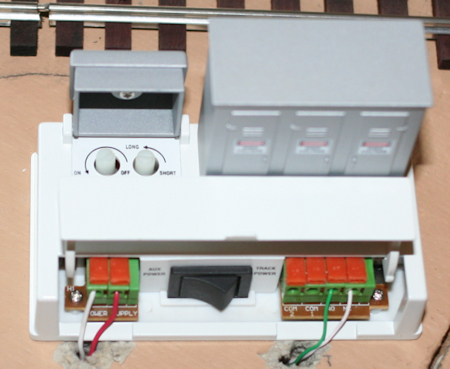 The multi-track gates are activated by the Lionel 153IR Controller (Product #6-14111). Both sets of gates are powered with auxiliary power instead of track power. 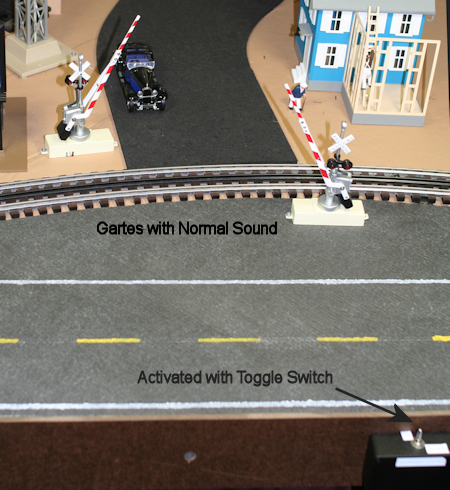 The multi-track gates are activated by the Lionel 153IR Controller (Product #6-14111) shown at right. Yellow gate wire is NO tap. White gate wire is NC tap. 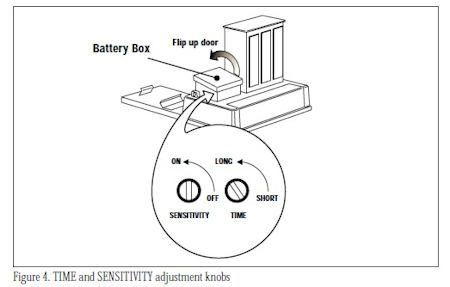 Figure 4 and Figure 2 above are from the Lionel #153IR Controller Manual. The wire colors in the left column show the Run Room extension wire colors. 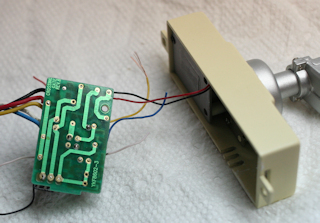 The white and red auxiliary power wires are from the 14 volt AC bus. 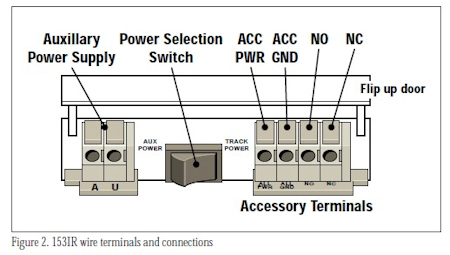 The brown and orange extension wires are also connected to the 14 volt AC bus. 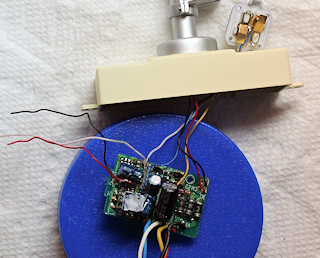 The Crossing Gate circuit board is too small for an amateur attempted repair. Copyright © 2016 S. Deats. All Rights Reserved.